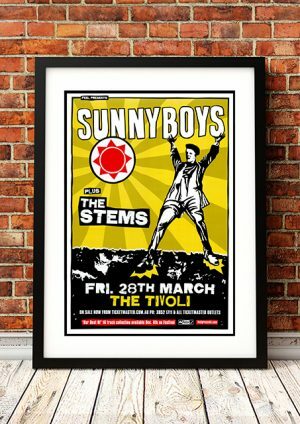 Classic Stems Band Concert Posters and Memorabilia! Buy Online Now! 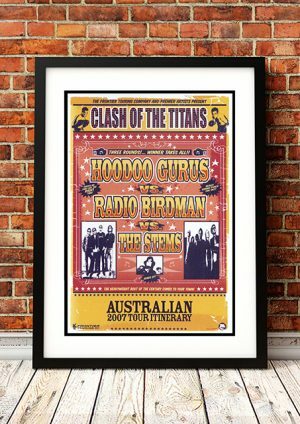 Leaders Dom Mariani and Richard Lane formed Australia garage/punk rockers the Stems in 1983. Further releases soon followed, including singles, EPs (such as the Love Will Grow EP, produced by Radio Birdman’s Rob Younger), and full-lengths (1987’s best-selling At First Sight Violets Are Blue). Strangely, at the height of their success, the group suddenly disbanded. But over the years, Mariani and Lane have been able to put their differences aside to reunite the Stems for the odd reunion show, including a pair of shows in 1997 (which coincided with the release an archival live release from the good old days, titled Weed Out! : Live at the Old Melbourne). We stock some awesome Stems Band Concert Posters.